With the emergence and development of larger and faster ships, and the increased maritime traffic, situations in which one ship must take actions to avoid collisions with multiple ships are also likely to increase, which makes anti-collision decision making more complicated. 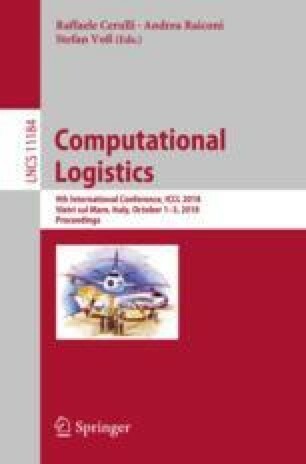 This paper proposes a novel method for solving collision avoidance problem in multiple ships encounter situations, consisting of three phases: firstly, predictions of each ship’s potential trajectories with different rudder angles are made considering ship dynamics; secondly, each ship evaluates the collision risk it has with the other encountering ships based on trajectory prediction; thirdly, a distributed constraint optimization strategy is adopted to assist ships in making efficient anti-collision decisions, which concerns determining the optimal rudder angles alterations for each ship to avoid collisions. This method takes into account both the maneuverability of ships and the reciprocally-affected nature of multiple ships’ anti-collision decisions. Simulation experiments of 7-ships encounter situations are carried out to evaluate the effectiveness of the proposed method. Experimental results show that the proposed method could provide ships with optimal rudder angle alteration decisions to avoid collisions in a safe and efficient way.